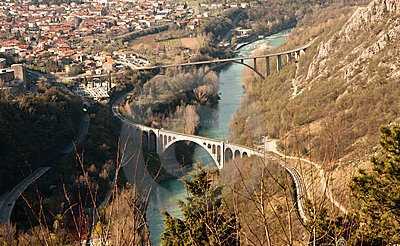 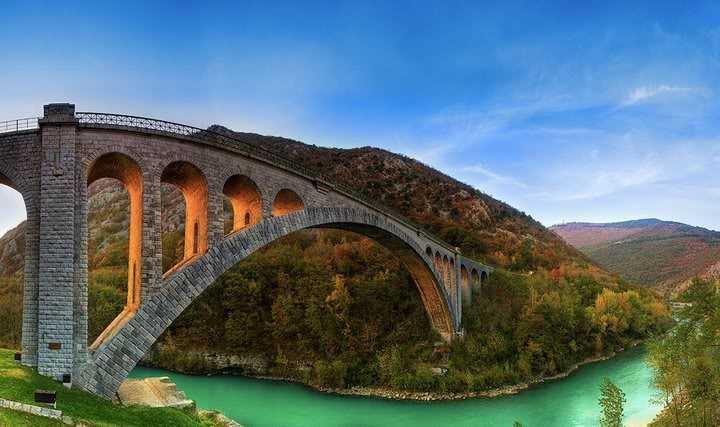 Solkan Bridge is a 220-metre long stone bridge over the river Soča near Nova Gorica in western Slovenia. With an arch span of 85 metres it is the second longest stone arch in the world and the longest stone arch among train bridges. 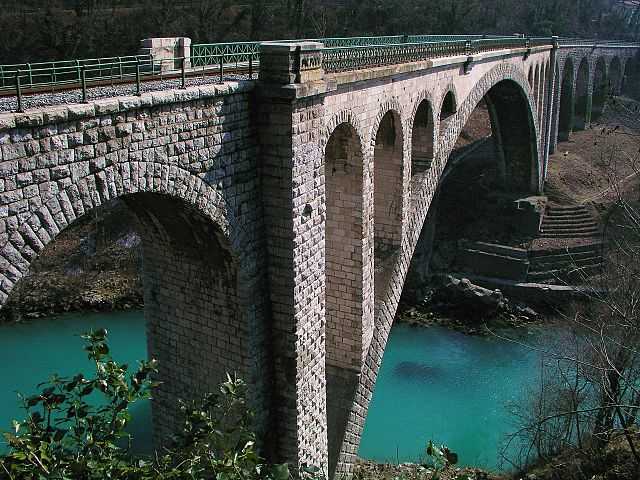 It was built in the time of the Secession, between 1900 and 1906. 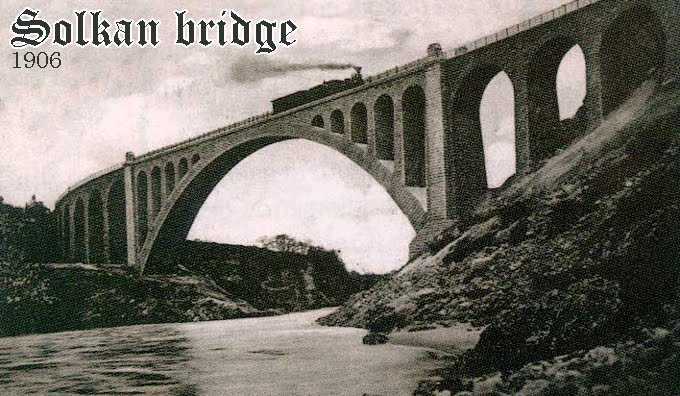 The bridge was designed by R. Jaussner and L. Oerley, at first with 80-metre long stone arch.